It is once again time for the kickoff show to 2019, the FUN Show, back in its “normal” home of sunny Orlando, FL. 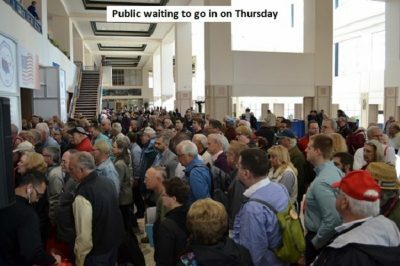 This is one of our favorite conventions of the year, with an enormous bourse floor packed full of dealers from all over the world, dozens of seminars, meetings and talks as well as a first class multi-day auction by Heritage. As always, we will be there for the entire event, setting up shop this year at Table 525. We have purchased some awesome new material that will be offered for the first time in Orlando, including rare and choice colonial coinage, some very nice early Americana and many new superb high grade pieces of Exonumia. So, why is the FUN show considered by many to be the best show throughout the year? A lot of reasons, but first and foremost, the buying opportunities! Many of the dealers circle these dates on their calendar many months before January. As such, most of the dealers (including us of course!) plan to showcase freshly acquired material from months of searching for the first time at FUN. 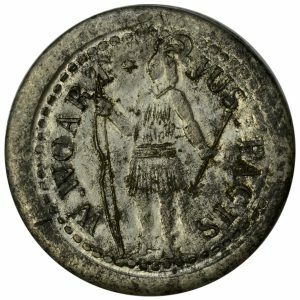 We feel this show offers the most fresh coins of any convention during the year. Last year, we found a ton of stuff every single day and a few pieces even after the show ended leaving for the airport. Some pieces like these for example. 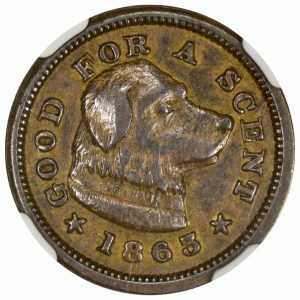 On top of finding great pieces throughout the week, we obviously sell our share of fresh material as well, most of which never makes it to the website (stay tuned for an upcoming blog of Part II of Coins That Never Made It To The Website). 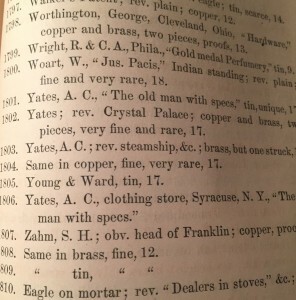 We were selling everything from Massachusetts Silver to Washingtonia, rare documents including a letter written by John Hull, and some great pieces of Exonumia, including amazingly the last “Smoker” token we have had in inventory (and we basically buy everyone we see so if you have one for sale, please shoot us a call!). Sales seem to remain strong at this show from dealer set up on Wednesday afternoon all the way until Saturday evening, unlike some other shows which are really basically one and a half day sales events over three days. 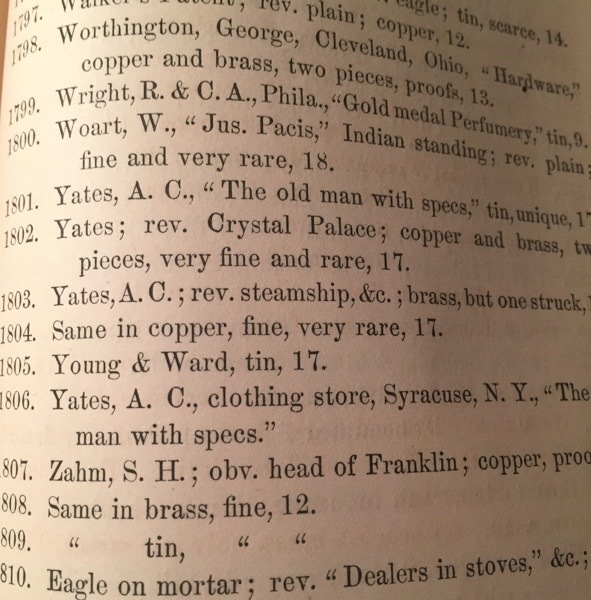 Some items that sold include the following. 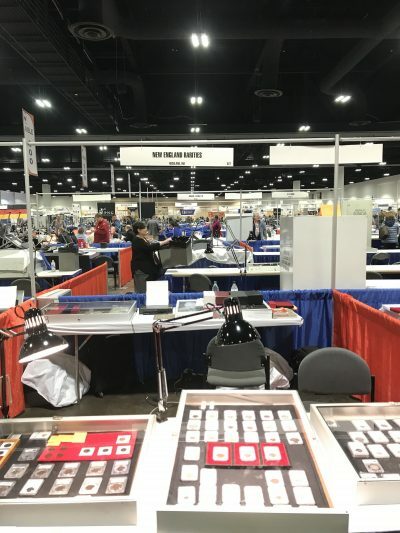 We sold a whole bunch more during the four full days on the bourse floor, but unfortunately we do not have any images of them, showing how quickly coins turn over at the show. 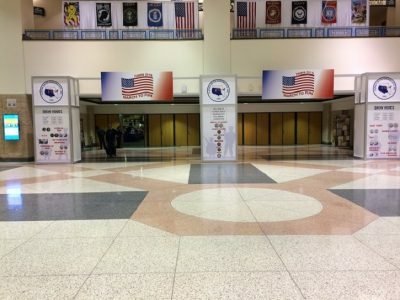 We are expecting this year to be even busier, as for the last three years, the convention has been held outside of Orlando, and did not quite attract the same humongous crowds that Orlando brings in (though by no means was it quiet, as I believe they still were number one in attendance for any show the last three years!). Speaking of being busy, we very rarely have a moment alone during the bourse hours except maybe the first 10 minutes that we walk through the door when they open up to the dealers. Most of the time, we have two or three people at the table, buying, selling, schmoozing, etc. 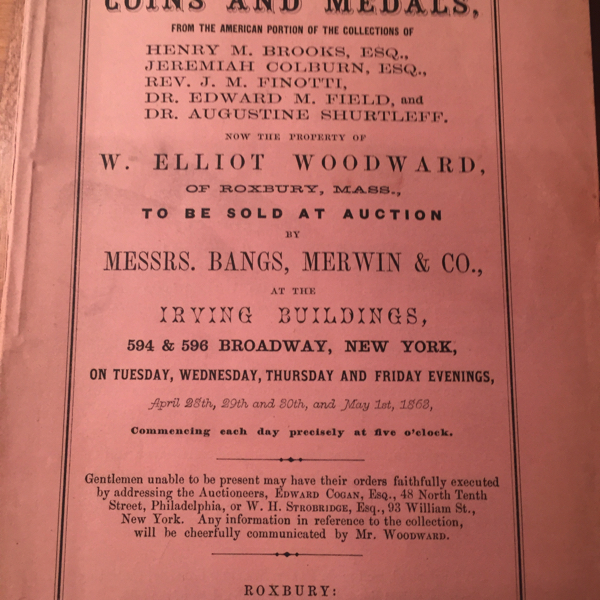 This does make it a bit difficult for either of us to get away from the table and hunt the bourse and bid in auctions, but we have always found a way to make it happen. 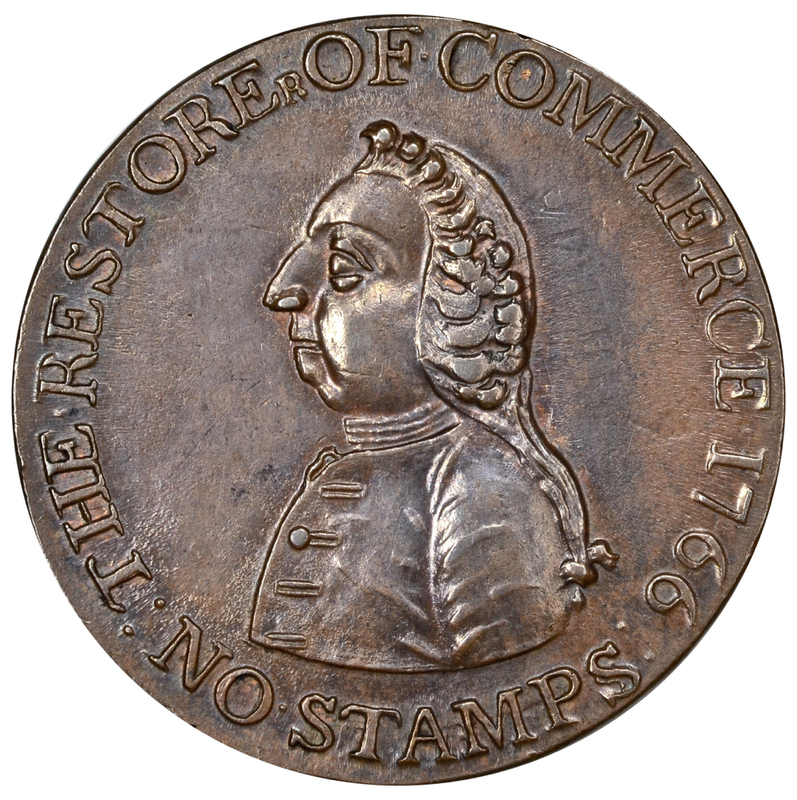 I will say that the wonderful Heritage app makes bidding from the bourse floor SO much easier! Being busy is what we love though, and the show doesn’t conclude for the day just because the bourse floor closes. 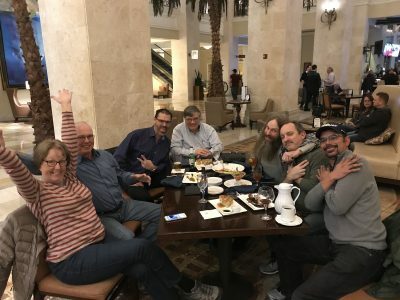 Actually, some of the most enjoyable times we have during our travels (and especially at FUN) are the get-togethers with clients and friends for dinner and social activities which mostly go very late into the evening (and many times into the next morning!). We do talk about coins obviously, but conversations range from food, politics, sports and just about anything else you can think of. 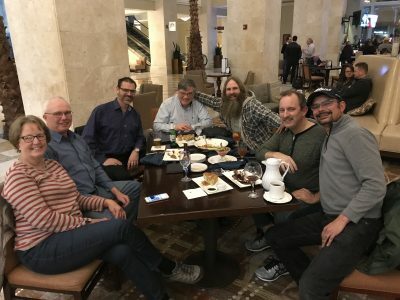 One of the great things about the FUN show is that so many hotels are within walking distance of each other and with so many people attending the show, finding a group of collectors to converse with at the hotel bar is almost impossible to avoid! We find that coin collectors in general love to talk coins (duh!) but the great thing is how people from different areas of the country, different nationalities and different financial situations can all come together without any judgement at all and talk for hours about their common bond. It is truly such an enjoyable way to end the day! With that, we conclude our FUN 2019 preview. We hope to see many of our readers this coming week in Orlando. 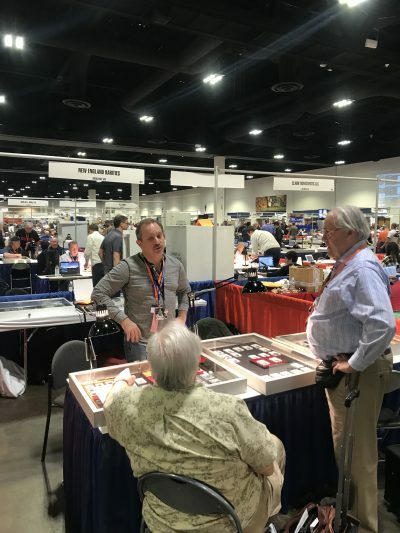 For all the information about the show including the schedule, dealer list and hotel information, we invite you to visit www.funtopics.com and click on the link for the FUN Convention at the top of the page. If you will be in attendance, please stop by Table 525 and say hello! 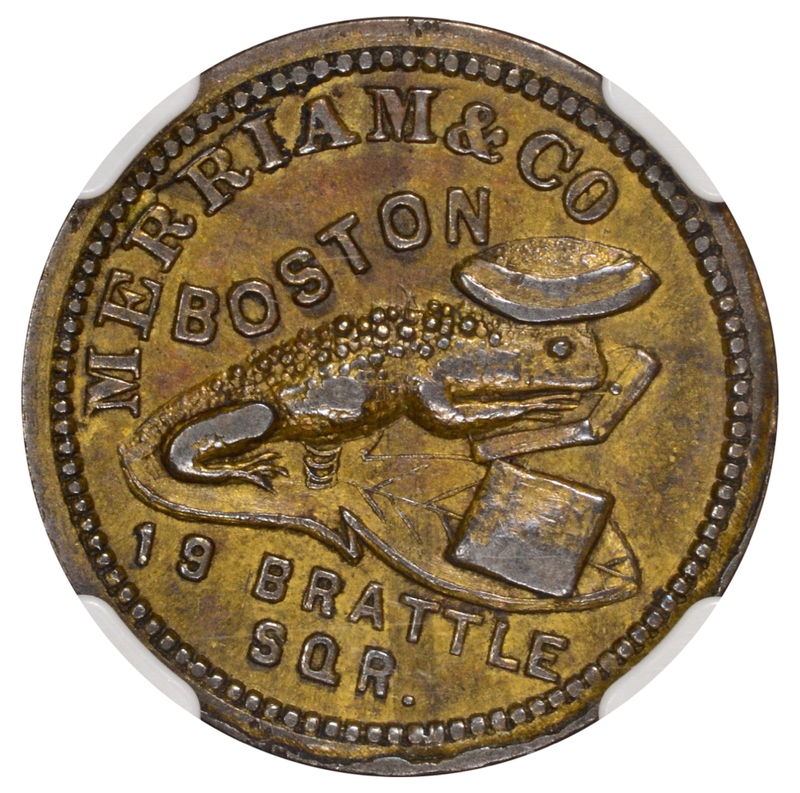 Over the years, we at New England Rarities handle some pretty cool things. Many of the items that we get never make it to our website for resale. Some are specifically purchased for customers want lists. 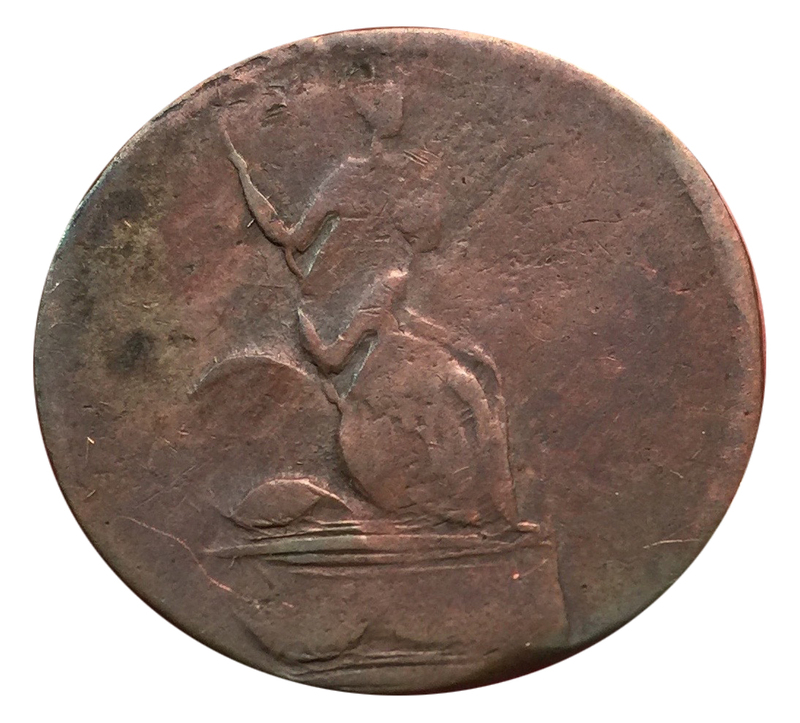 Some are items found at major shows that we can only get a quick cell phone picture of before making a few phone calls and placing the coin in a new home. Others still are pieces that we purchase at a show and are sold before we even leave the convention. 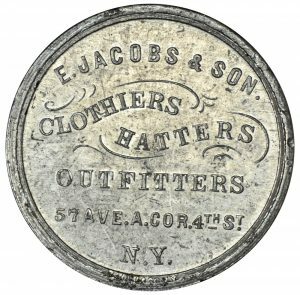 We went through some of our photo files for the past year, and have selected some examples sold that have never been featured on the website before. Enjoy! 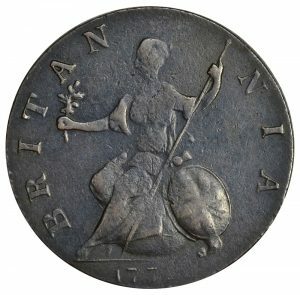 This is a beautiful example of this popular colonial issue. 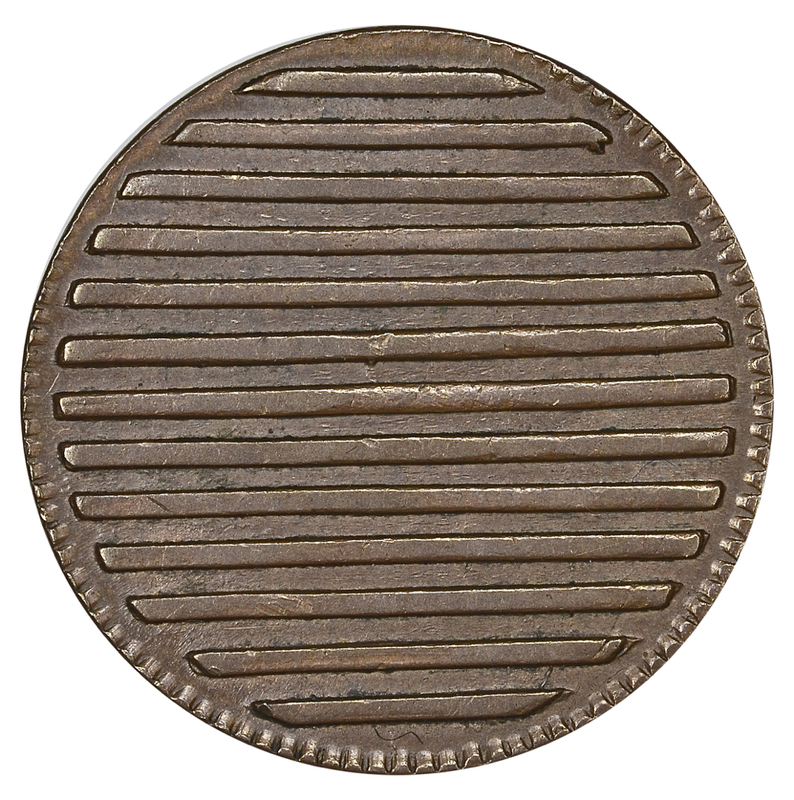 This piece shows exceptional medium brown color with ample luster and some mint red remaining in the legends. 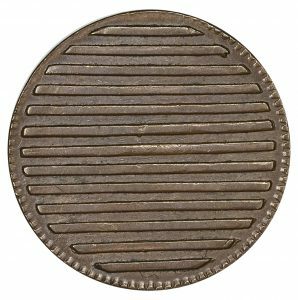 Described in the Robison Sale as “No signs of wear, just the faintest friction on the high points. One of the nicest we have seen”. 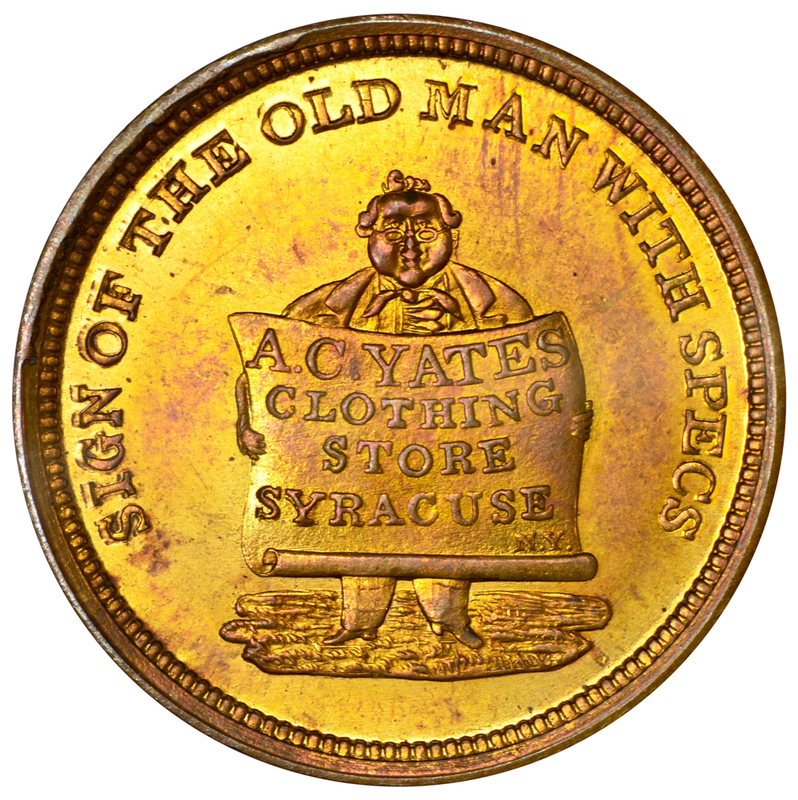 This coin came from an old-time collection and the new owner is very pleased to have it amongst their cabinet today! 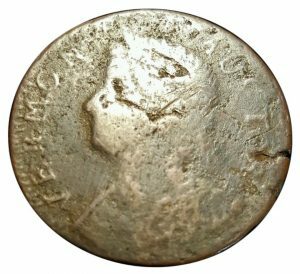 This is a very respectable example of this extremely scarce and sought after Vermont variety. 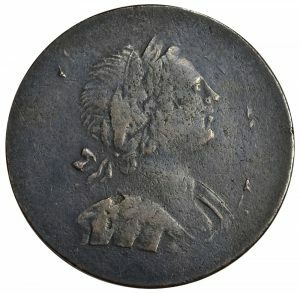 Distinctive for its large cud at the date, this is the only 1787 dated Vermont that features a Bust Left obverse design. The surfaces are evenly rough, as most examples are, but all the important design elements are visible. 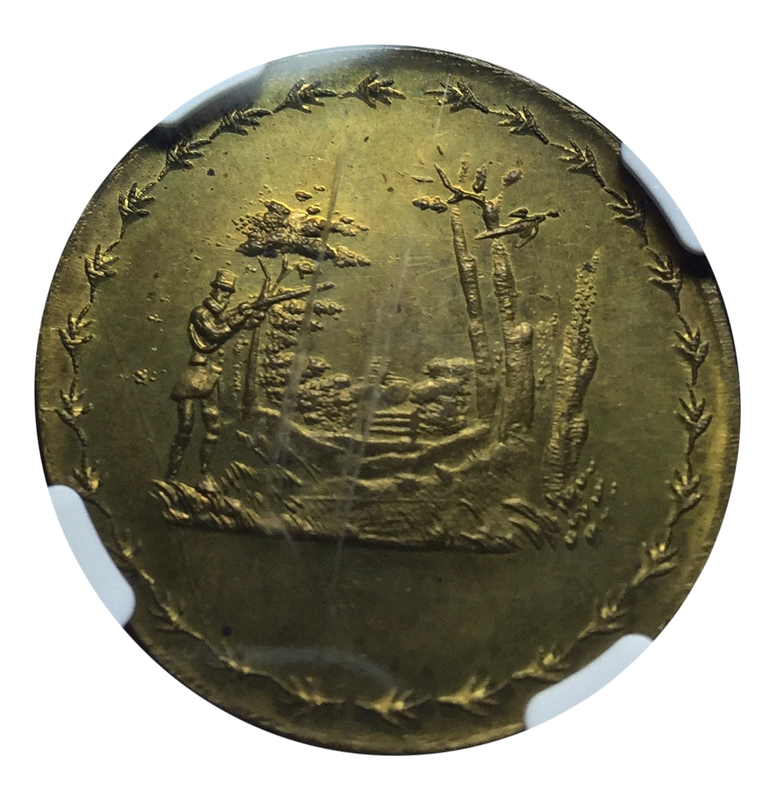 This piece was purchased from a long time customer of ours and featured at the Baltimore Convention in March, where it was promptly added to a well-known colonial collection. Three people on the first day of the show were strongly interested in it, but only one could own it. In fact, it sold so quickly we only have this cellphone image of the coin in our files. 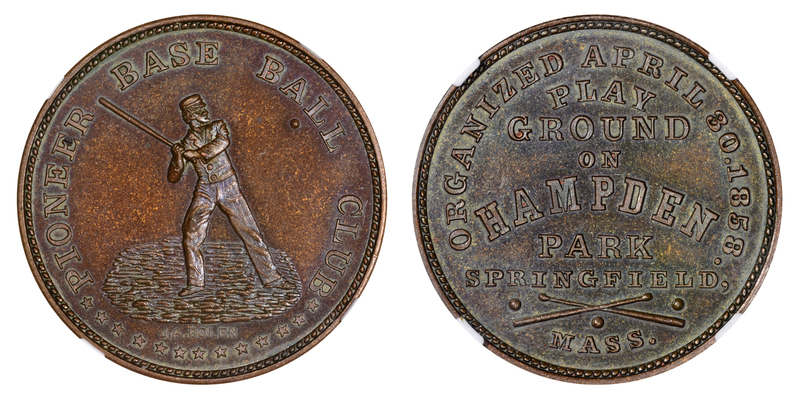 This is a beautiful example of one of the more popular NJ die varieties. This piece shows excellent medium brown color with choice and glossy surfaces. 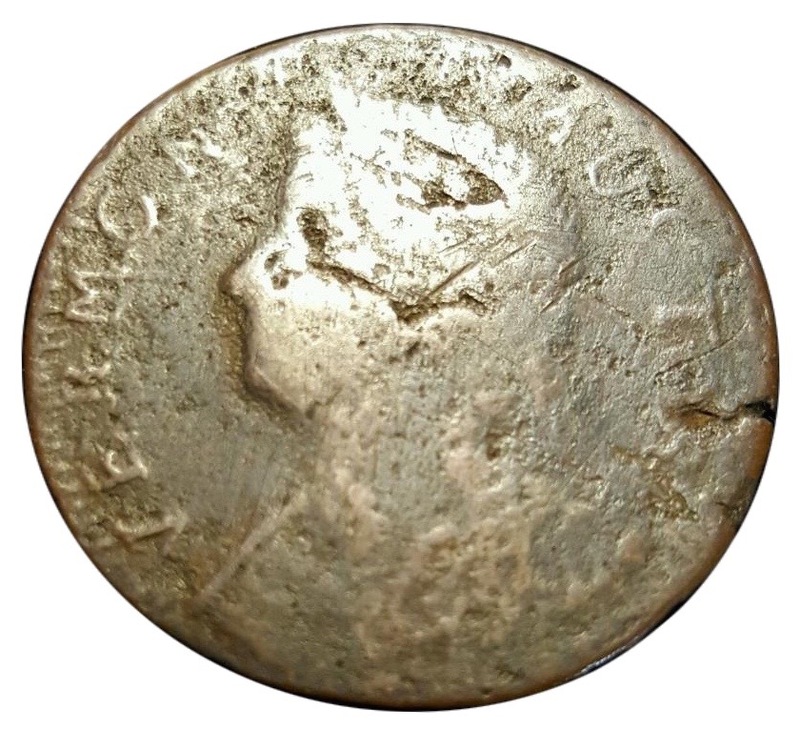 This coin would reside right at the bottom of the Condition Census for the variety. This piece is an old friend, being sold by us years ago. 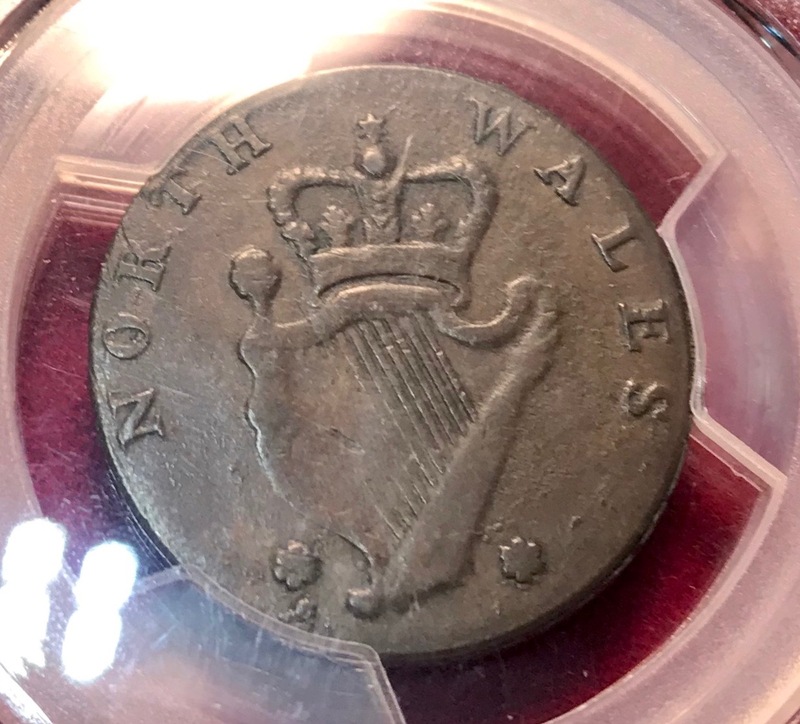 We were delighted at the EAC Convention to have the opportunity to purchase the coin again. After one phone call, the coin quickly found a happy new home! 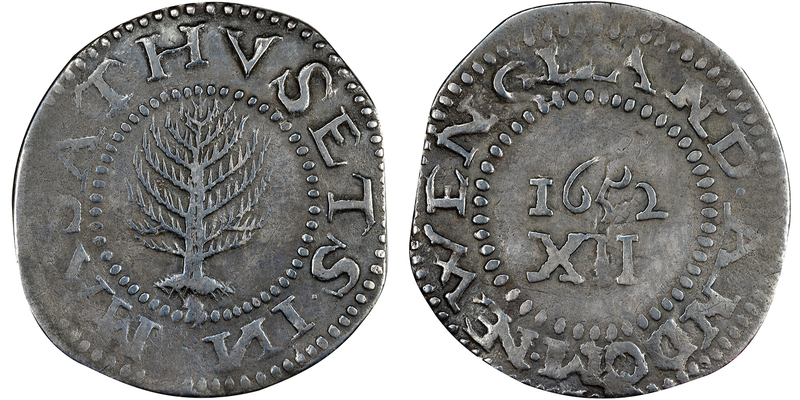 This is a fairly common coin with an extremely rare undertype. 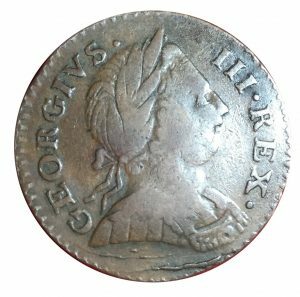 The GEORGIVS REX can be fully seen on the reverse, strongest right above the shield and continuing around the right shield lines. This is only the third confirmed NJ with a George I Halfpenny undertype. This coin came “out of the woodwork” and found a new home with a well-known NJ specialist after being featured at the colonial coin happening event at EAC. An incredible example of this very rare Machins die variety. This piece shows dark olive brown color with mostly smooth and attractive surfaces. 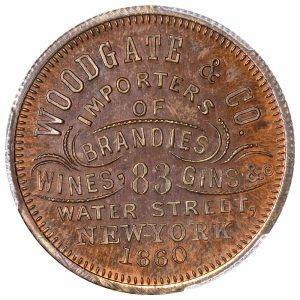 The detail remaining is exceptional for the variety, with most known pieces showing little to nothing of the obverse design. This piece is totally new to the census and is one of the finest known for the die variety. It now resides with a well-known Machins Mills specialist. A very choice and appealing example of this scarce die variety. The Vlack 3-74A when found is often in very low grade with all sorts of post-strike issues. This piece was a very nice surprise, showing glossy light brown color and no damage of any kind. This piece was found by a dealer friend of ours and offered to us in June. 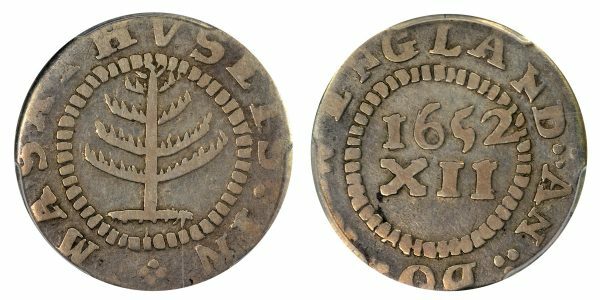 It was placed just a short week or so later with a well-known collector of choice and high grade colonial coins. 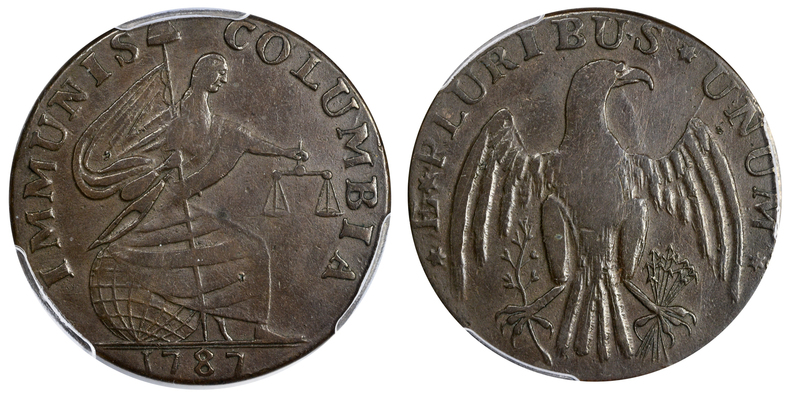 This is a beautiful original example of this ever-popular colonial issue. This piece shows choice light brown color with glossy and smooth surfaces. There are no marks or problems of any kind. Just a perfect coin for the grade, just missing the Uncirculated grade level. This piece was found in the same old time collection the Pitt Token came from. 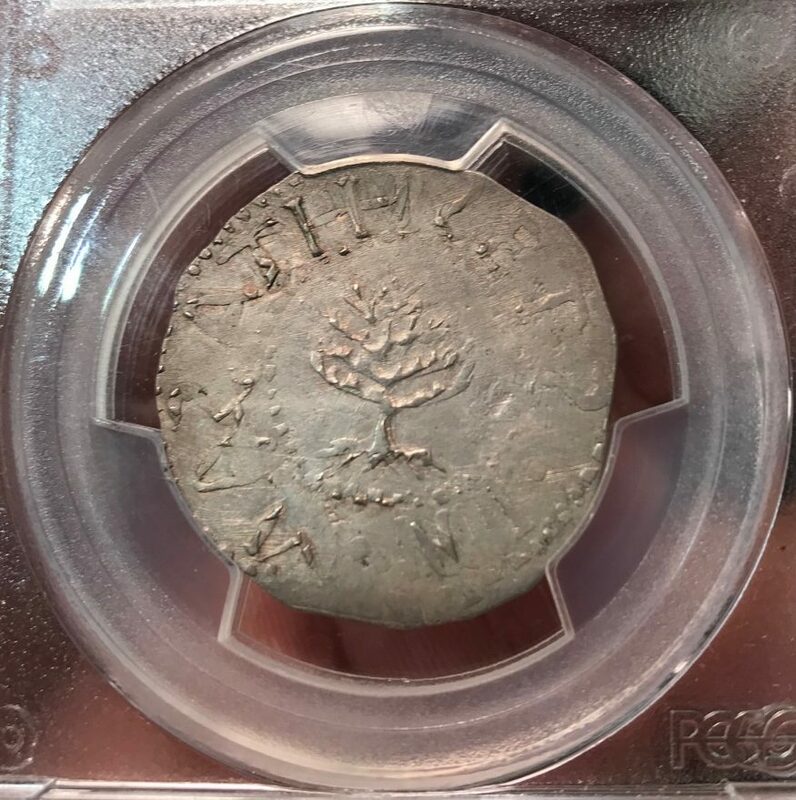 After submitting the coin to PCGS, it found a happy home very quickly. This is just something that is really cool! 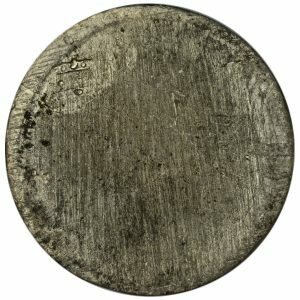 This is the first major error we are aware of in the Blacksmith token series. 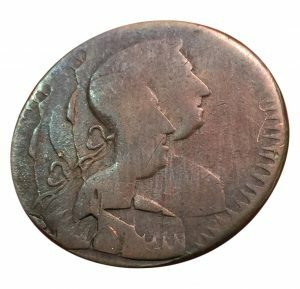 This coin is boldly double struck, showing major doubling of the head and denticles. 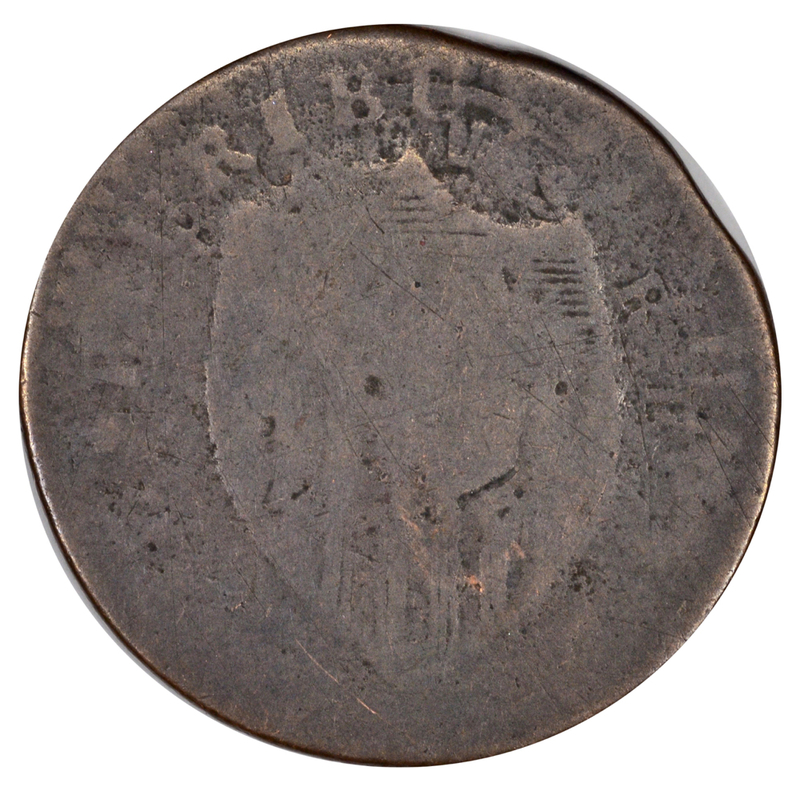 Evidence of a triple strike can also be seen when lining up the denticles on the obverse. 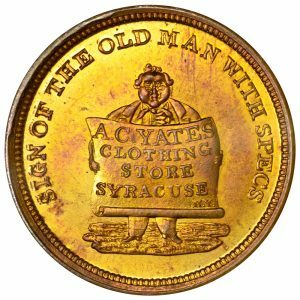 A true rarity and a very cool piece of history. This coin came from a well-known dealer and we were very excited when it was shown to us. We knew it would not last long, and we were correct as it sold to the first collector we reached out to. 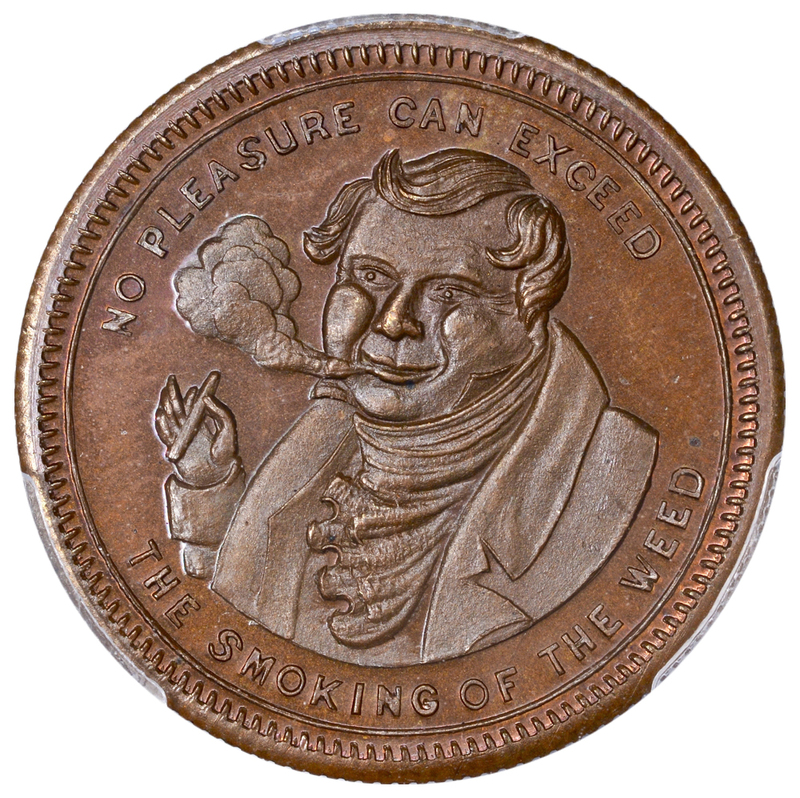 One of the nicest copper Smoker tokens we have personally ever seen. The color is exceptional and the sufaces are fully proof-like and glossy. 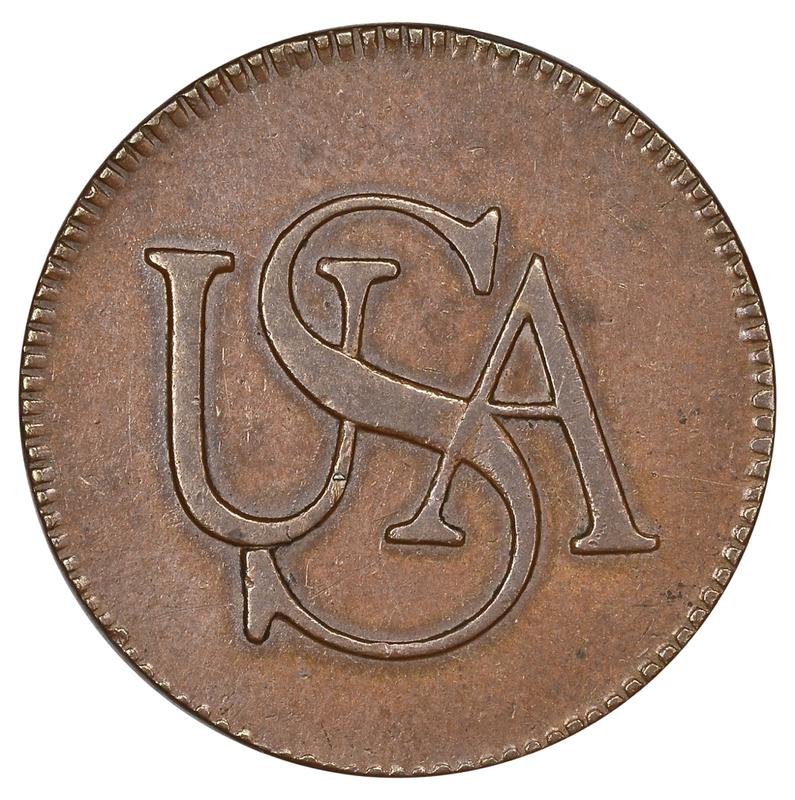 Areas of original mint red are visible as well. 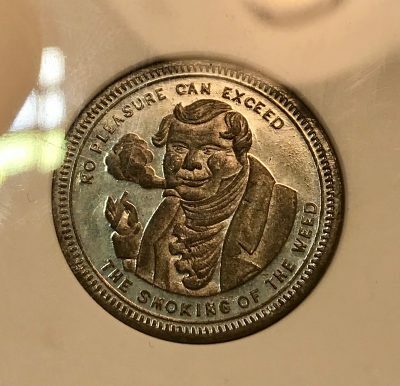 An exceptional coin. 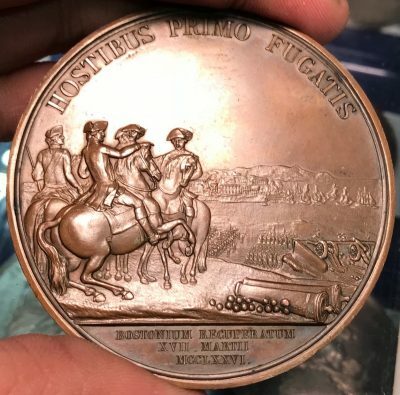 We found this piece earlier in the year at a major convention. After seeing it, we could not pass it up. A day after returning home from the show, the coin was already in the mail to the new owner. 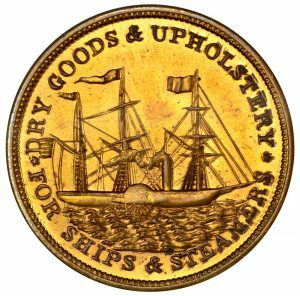 This is a very interesting coin with one of the finest obverse designs we have seen in all of tokens. 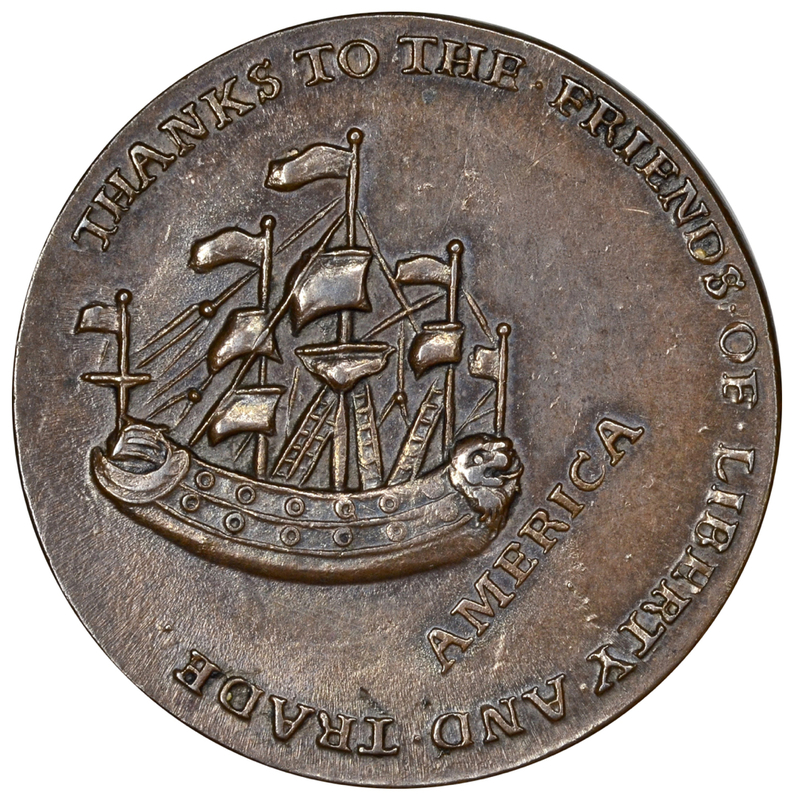 This piece, struck in white metal, was previously from the Steve Tanenbaum collection of NY Merchant tokens. 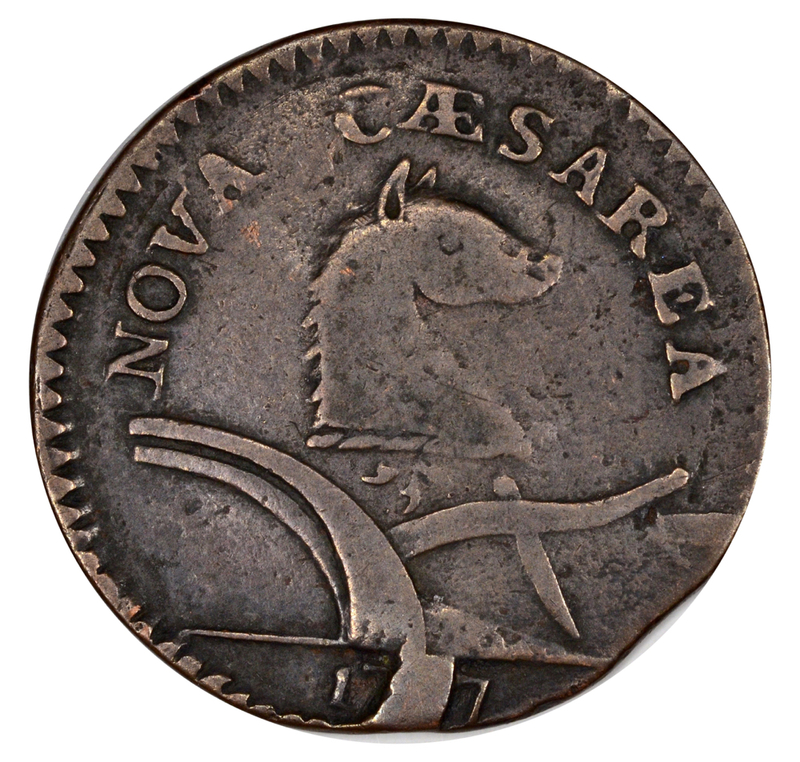 A very rare coin with only 3-5 examples accounted for today. We feel this coin is incorrectly listed in the Rulau token book as being from the 1890s. 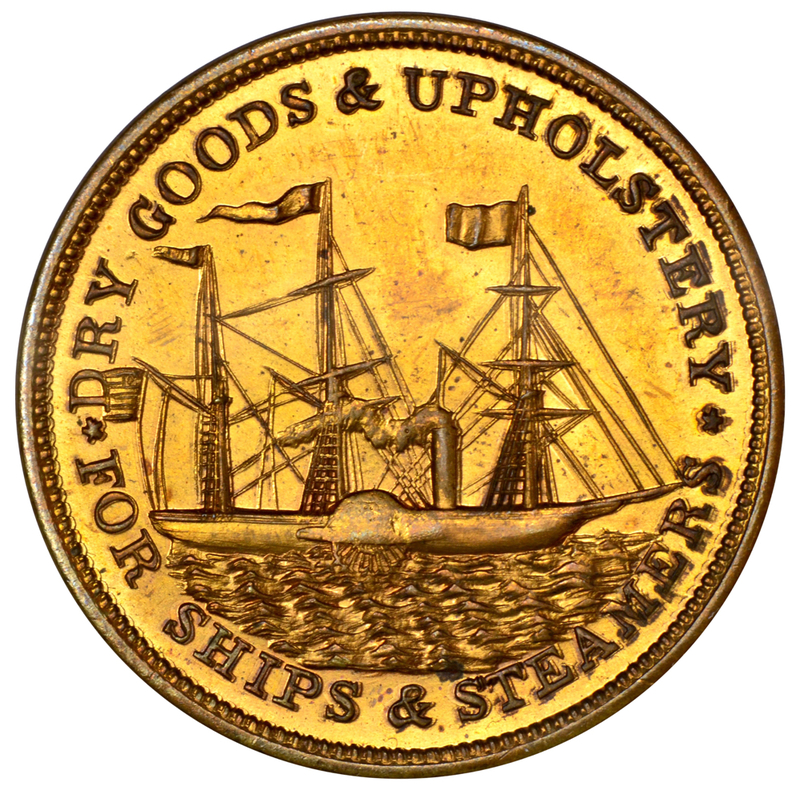 This obverse design is also used with other Smith and Hartmann pieces from the late 1850s to early 1860s. 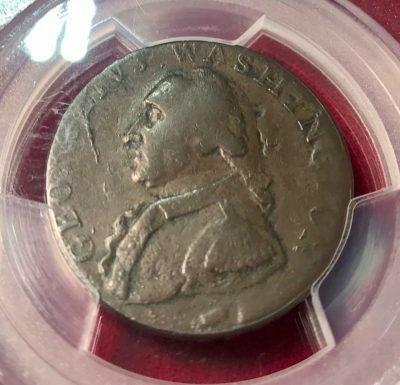 Obviously this is a coin that needs more study, but we were happy to acquire it and it is the first Young America obverse that we have ever handled! A shockingly high grade example of this very rare NY mule. The color is a wonderful light brown/red mix and the surfaces show full cartwheel luster. Certainly the finest known of this variety and the first we have ever handled. This piece came from a well-known dealer where it was previously in the Steve Tanenbaum collection. 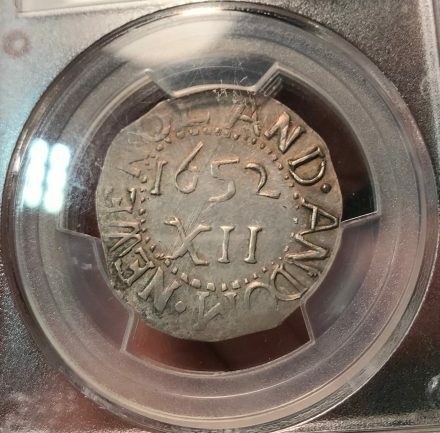 It did not last very long in our inventory, the only wait was getting it graded as it was purchased raw. 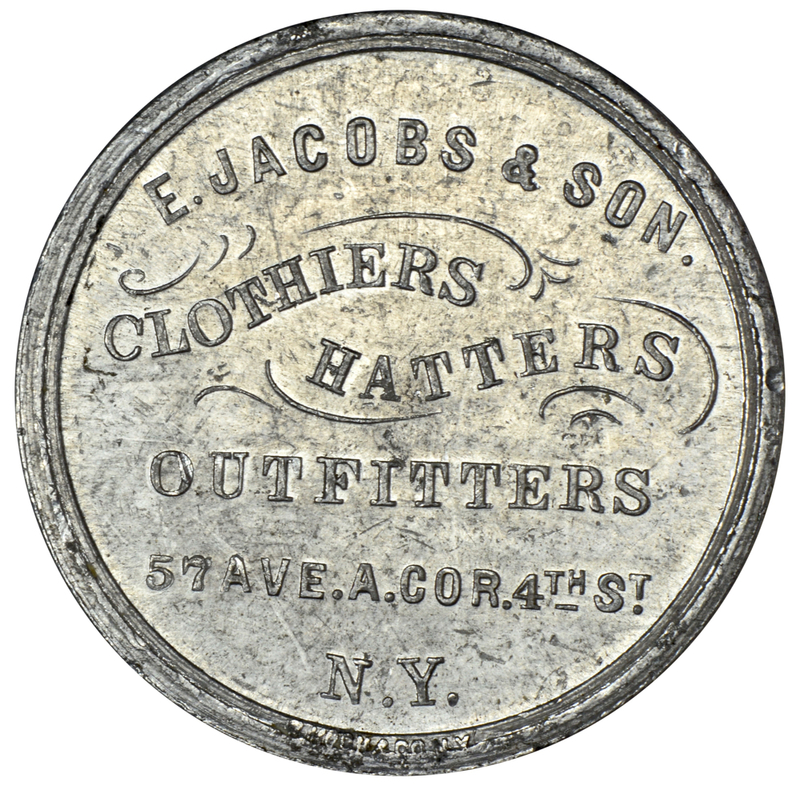 A very high grade and appealing example of this famous Store Card from Merriam. This piece is a nice yellow brown with glossy and smooth surfaces. 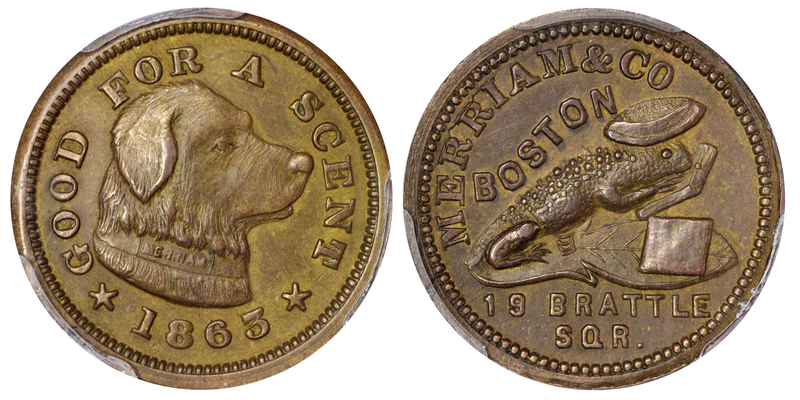 This piece was also from the Tanenbaum collection of tokens. Finding an example in any grade is a true rarity in the market, so seeing this piece, which is certainly amongst the finest known, was a great surprise. As soon as we saw this piece at the FUN show in Tampa, we knew that we would be quickly buying it. A short phone call later, the coin had a happy new home. 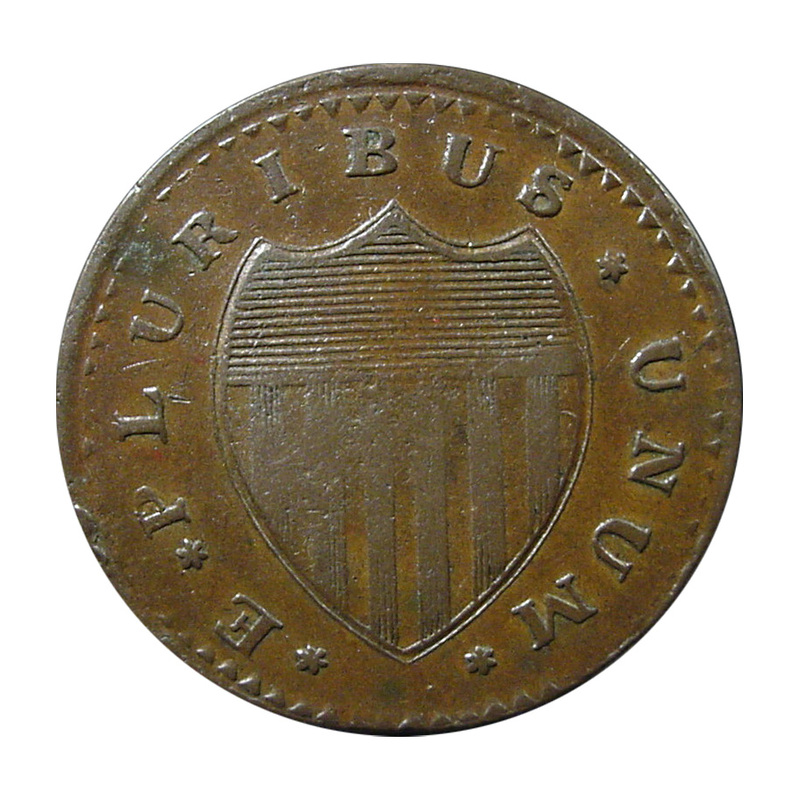 A beautiful example of this extreme rarity in the Civil War Token series. 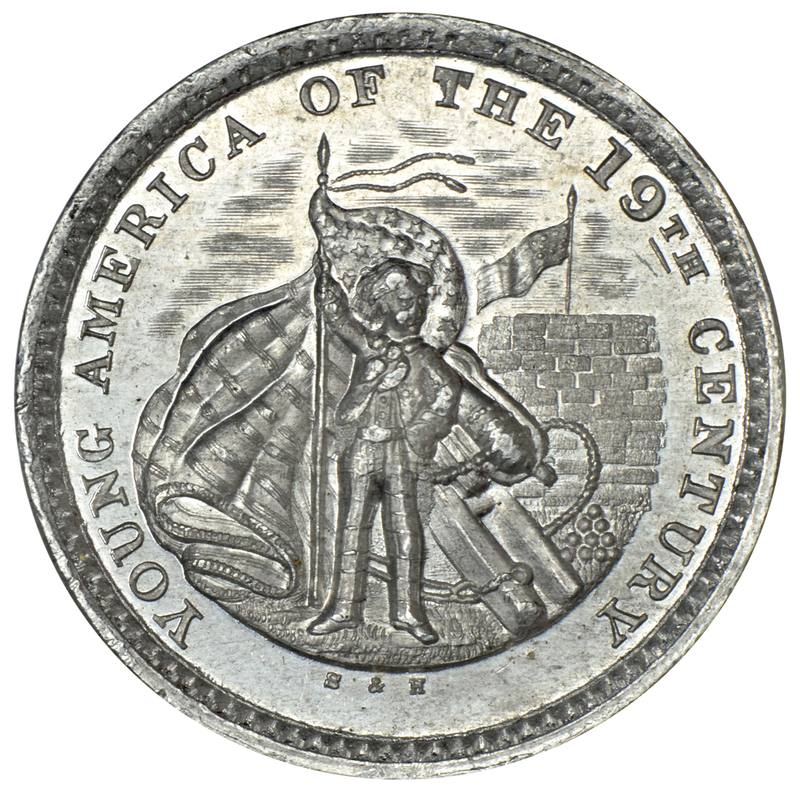 The Hope Shield series is considered amongst the most beautiful designs in all of Civil War tokens. This piece, struck in brass is graded MS65 and is fully lusterous and proof-like. This is only the second piece in the Hope Shield series we have ever offered. All are extremely rare with only 1-5 known of each design type. This is the first we have ever seen with this pairing. It sold shortly after acquiring it, and once again we only have this cellphone image of it in our files. We are always on the lookout for top quality interesting pieces. Most of these items were sold to customers who have sent us want-lists of what they are after. We highly recommend if you are looking for specific items to send along a list to us. We see hundreds of coins every month, and of those, select the choice few that we feel our customers will be most interested in. We hope you enjoyed seeing some of the items we placed this year. We certainly had a lot of fun and enjoyment acquiring them. 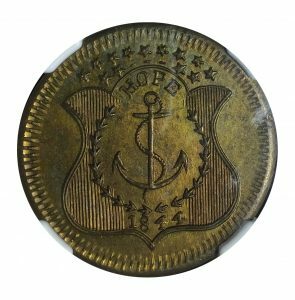 One of the best things about colonials and tokens is the overall rarity of so many of these pieces compared to US Type coins. 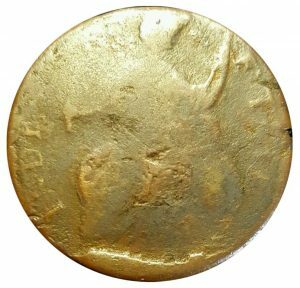 Now, I admit living in Charlotte I do have a fondness for certain gold coins, but the relative cost to collectors can be so much higher! 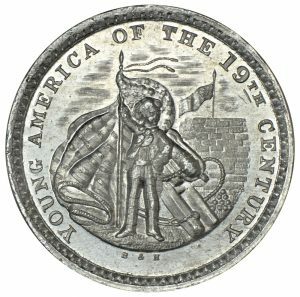 In addition, so many US Type coins are commoditized – why? Because there are so many of them! 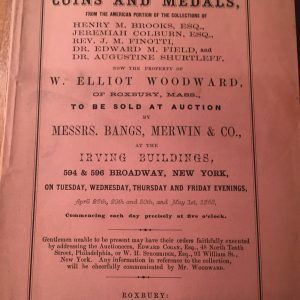 For colonials, we do have the Red Book, but even that is “just a guide” and in no way can allow for all the strike, surface and and color variations in collecting colonials. 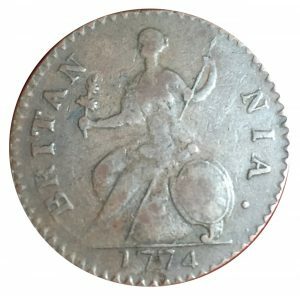 With an exceptionally small number of post-colonial, pre-US Mint coins, how many coins can be considered to look the same? Be commoditized? None, and that’s one key reason we all love this series. Each coin has its own nuance, its own look and its own value. Tokens are even more underappreciated and high condition census pieces can be had for respectively bargain prices. Over the years New England Rarities has offered many exceptionally rare, exceptionally beautiful tokens with exceptional value. Which would you rather have? A high condition census, beautiful token with an interesting theme from the 1800s or a 2000P Lincoln Cent in PCGS MS69 Red for $2,500 with a business strike mintage of over 5.5 billion. Billion….. Telemarketing anyone? We just enjoy working with and sharing choice colonial coins and tokens as much as you enjoy collecting them. Once again, it is time for one of our favorite events of the year, the C4 Convention, held in conjunction with the Whitman Baltimore Expo. This year’s event promises to be one of the best ever, with amazing exhibits, wonderful educational events, a donated lots auction and of course the well known C4 reception on Thursday night. We wouldn’t miss this show for anything, and we have a deluxe corner table located right in the center of the C4 section of the show. Our table number is 715. If you plan on attending this event, please stop by our table and say hello. 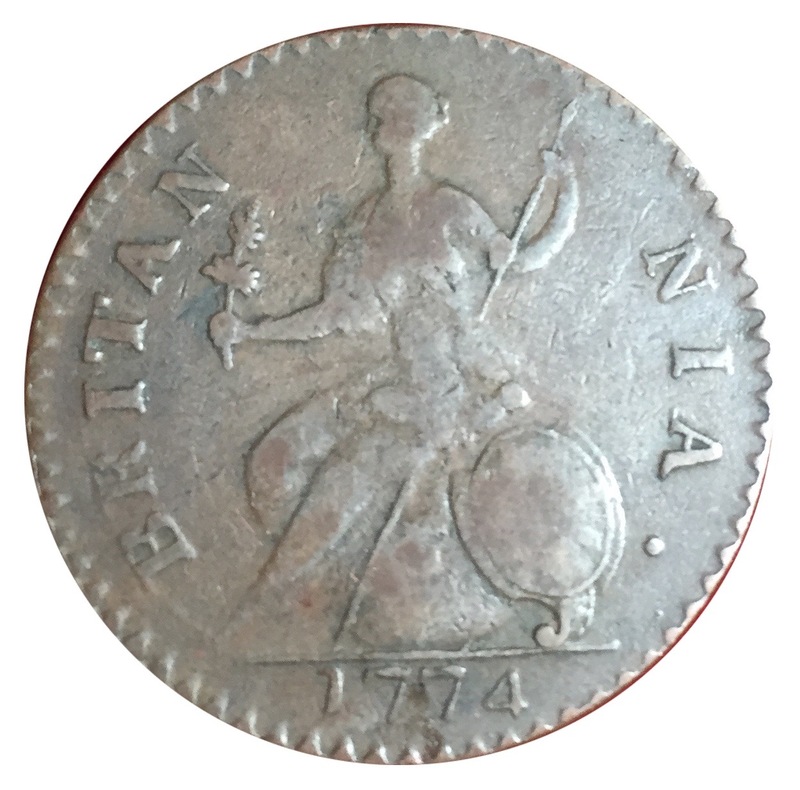 We will be featuring hundreds of choice coins, including some very nice high end colonial type, rare colonial die varieties, some choice original foreign coinage as well as some superb examples of Exonumia. 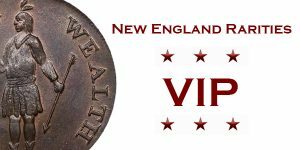 For more information on this wonderful event, we invite you to visit www.colonialcoins.org for all scheduling information. We hope to see you there in Baltimore this week!